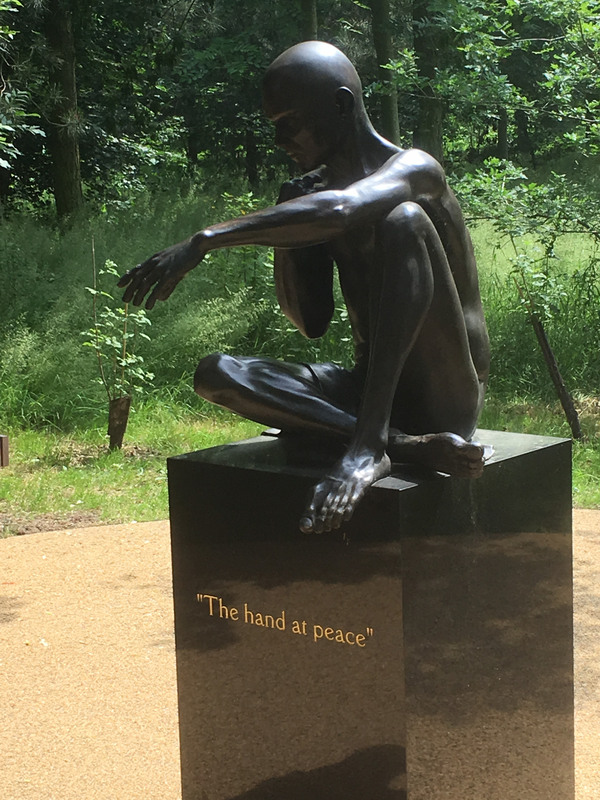 On Thursday we organised a second visit to the National Memorial Arboretum. Since our first trip there were many new memorials to see. 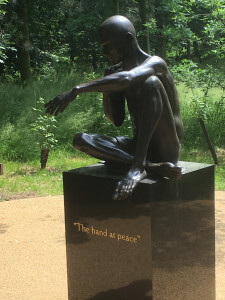 Perhaps the most moving was the one from Sapper Support, a charity focused on PTSD, with the sculpture shown above. Our enjoyment of the day was enhanced by the plentiful sights of nature with terns flying over the River Tame, the nesting coots and Great-Crested Grebes, demoiselle damsel flies in abundance and the Poppy Field in full bloom. Previously, on Monday, we had a stand at Chesterfield Royal Hospital, with the dual aim of raising awareness of the early signs of head and neck cancer and fundraising for our group. As always there were many interesting conversations.